It's In The Bag: There's still time for Mother's Day! Okay all of you last minute Mother's Day shoppers...there's still time to order a personalized gift for Mother's Day. Our seersucker tote bags have been quite popular for moms and graduates; we just got a restock in and can have them ready for you to give on Sunday! To order, email mercmarie@gmail.com or call Mercer at 706.660.1727. 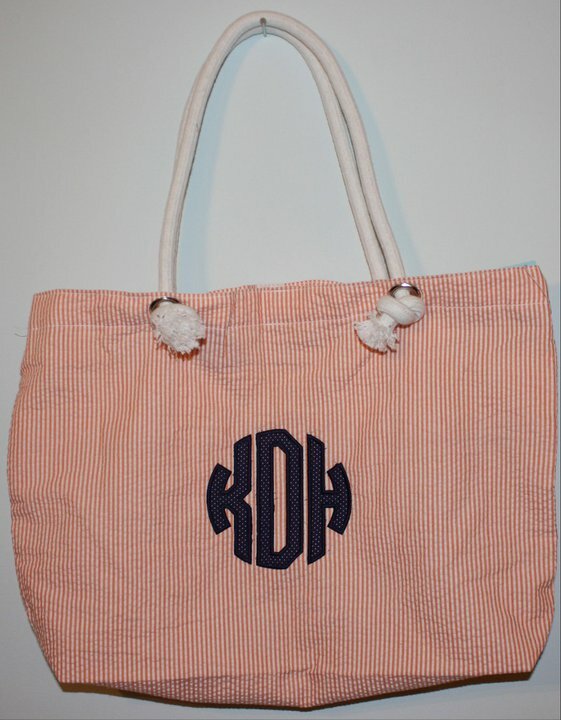 The tote bags are $27-price includes monogramming. We have a few seersucker cosmetic bags remaining in pink and green. 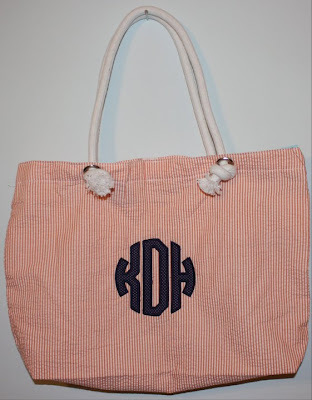 They're $12 with a name or monogram...several customers have bought them to wrap with a gift certificate for a mani/pedi! Cute gift!